Pressed by the competition and by a number of new and demanding games MSI has updated its gaming laptops with the newest and fastest hardware as well as other goodies. 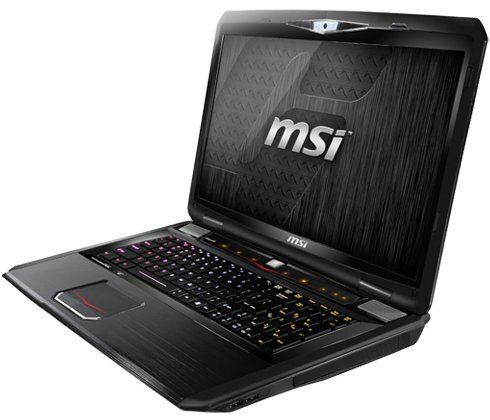 The MSI GT70 comes first in the line. The powerful gaming laptop now features the mighty GeForce GTX 675M that will rip through games in no time in addition to the Intel Core i7-3610QM processor, Intel HM77 chipset, 12 GB or 16 GB of DDR3 memory, Killer E2200 Game Networking and a media reader that supports all media cards currently on the market. The GE70 and GE60 gaming notebooks have also been updated. The GE70, which sports a 17.3-inch screen, and the GE60 with its 15.6-inch display now also have the Core i7-3610QM quad-core Ivy Bridge chip but run on the Intel HM76 chipset and support graphics cards as fast as the GeForce GTX 660M. Other specs include 750 GB of HDD capacity, 8 GB of DDR3 memory, Gigabit LAN, 5-in-1 card readers and four speakers. The GE70 and GE60 will cost 1349.99 USD and 1299.99 USD respectively, while the GT70 starts between 1749.99 USD and 2199.99 USD depending on options.